G2M, Audio/MIDI Converter from Sonuus. 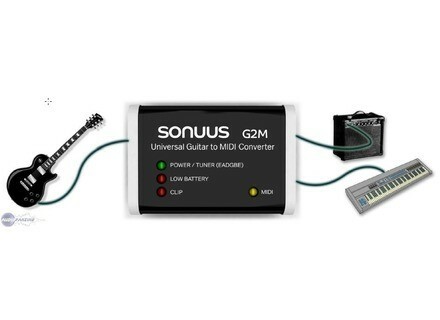 Sonuus releases the G2M, a Universal Guitar to Midi converter. We're told that it's a true plug-and-play solution for monophonic MIDI guitar designed to give accurate triggering with low-latency. It can be used to sequence bass lines and guitar solos. Peace Love Productions Synth Fuel Vol. 1 Peace Love Productions releases Synth Fuel Vol. 1which focuses on Arpeggiations and Pads.